PM us email us at [email protected] for quotes. 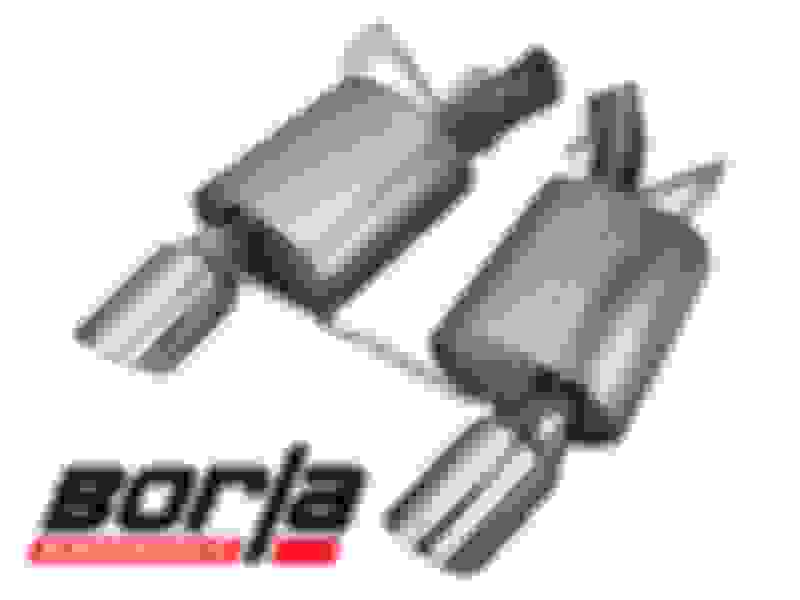 5% off plus Free shipping anywhere in Canada on all Borla Exhaust Systems. We offer installation on buyers located in our area. Upgrading your factory exhaust system to a Borla stainless steel performance exhaust system with a more efficient and less restrictive design can improve sound (adding more enjoyment driving your vehicle) and increase engine horsepower and torque throughout the RPM range (allowing quicker acceleration to pass a vehicle or get to highway speeds quicker). Borla offers Axle Back exhaust systems, Cat back exhaust systems, and for select Competition-Use-Only vehicles, we offer long tube headers to replace your exhaust manifold for the best performance and sound. What would you recommend for a 2012 Mustang 6 Cyl ? How do I order and what is the cost?